The Los Angeles teachers union will ask the LA Unified Board of Education to temporarily suspend the two most recent rounds of teacher dismissals, which the board approved in closed sessions this month and last month. Every time a teacher is fired in California, local school boards meet behind closed doors to review the dismissals. These meetings are often pro forma; the LAUSD board routinely votes unanimously to approve all of the recommended firings. At a special meeting of the union’s board, a motion by Mandel passed unanimously to ask the school board for a “stay” on all dismissals approved in the recent closed meetings. The motion is expected to be a approved by UTLA’s governing body, the 350-member House of Representatives, tomorrow night, where it will then become official union policy. 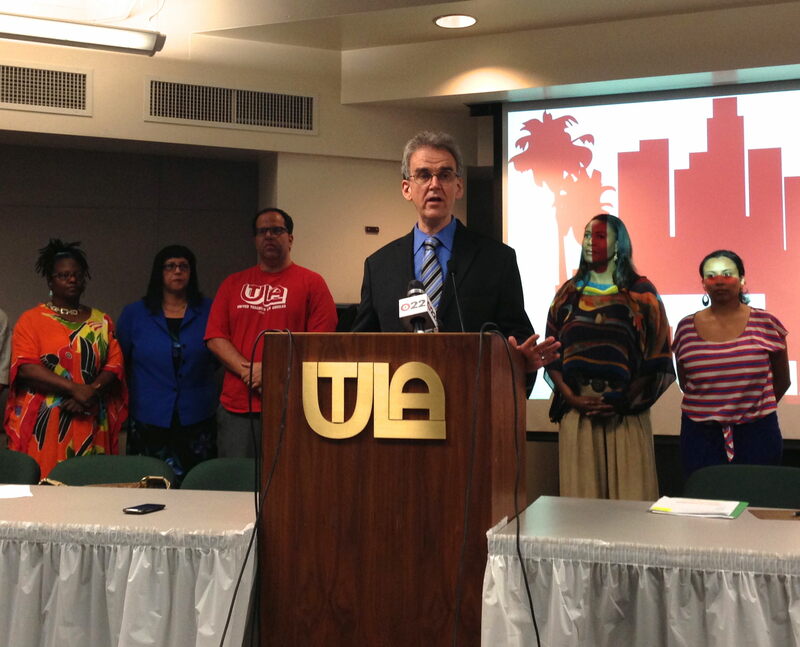 Holmquist denied UTLA’s claim that board members don’t have all the information they need to make a determination. As far as Fletcher’s charge that LA Unified hasn’t provided UTLA with a list of all housed teachers, Holmquist said that the district provides the union with a partial list of housed employees, with some names left out – the names of employees that wish to remain anonymous. The number of teachers fired in LAUSD has risen sharply under the leadership of Superintendent John Deasy – the result of an intentional policy decision, on his part, to weed out teachers that are found guilty of misconduct, but also teachers who have gotten two “unsatisfactory” evaluations in a row. Many UTLA activists accuse Deasy of being on a “witch hunt” to fire old teachers with higher salaries. After teachers are dismissed, they can appeal to the state, a process that can drag on for years and cost both sides hundreds of thousands of dollars in lawyers fees. Once dismissed, teachers stop receiving a salary. Before teachers are dismissed, they are often taken out of the classrooms and placed into “teacher jails” or “rubber rooms.” These teachers are “housed” while the district conducts investigations into alleged misconduct – often without knowing their charge, or knowing how long they are to be housed. “The district, at multiple points, creates obstacles for UTLA to know who is even housed, or subject to dismissal proceedings,” said Fletcher. *Updates with response from David Holmquist, LA Unified chief legal counsel.